"If you enjoy Greek mythology or alternate histories, or you just want an enjoyable read, you'll definitely want to check out this nifty novel." "Asterian's tale will captivate readers. VERDICT Lovers of mythology will enjoy this coming-of-age adventure and be surprised by the believable, "true story" of the Minotaur". - Cathleen Ash, Manor High School Library, TX. ﻿"It poked at all my buttons, offending my sense of justice, making me turn pages hungry for Asterion's vindication and freedom. It was a pleasure to read." "This book is just incredibly well written, and I would definitely recommend it to anyone who wants to read a YA take on the story of the Minotaur. It's engaging, exciting, and will leave you wanting more!" ﻿"If you enjoy Greek mythology or alternate histories, or you just want an enjoyable read, you’ll definitely want to check out this nifty novel." "I wasn’t expecting to be swept away, but I was, into the port of Iraklion, Knossos, the once glorious capital of Crete... MINOTAUR is such a well-written, entertaining story, and could very well be, the true tale of the Minotaur. A great YA read!" ﻿"...I thoroughly enjoyed it...you again have captured another tortured soul...it's a great story." "If you want a vivid book where you find yourself thinking about the endearing characters and relationships, where scenes and thoughts from the story slip into your dreams at night, then you’ll love this book just like I did." 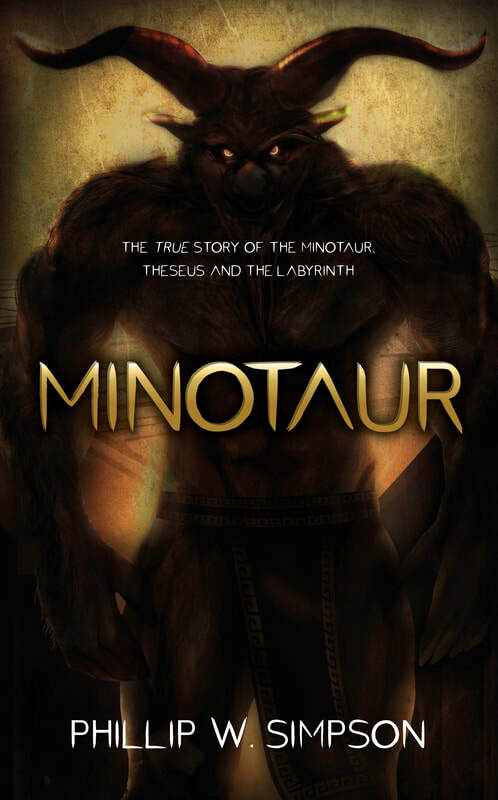 ﻿"Minotaur is a fabulous story which engulfs the reader, wraps them in the old myths and strips it bare, re-wrapping them in a new story..."
"In all, I was swept away on an amazing journey to ancient Greece, I was engrossed in the stupendous world this author created and simply adored this book. I can't recommend it enough so all I'll say is go buy it!!! You won't regret it." ﻿​﻿​"Full of adventure, love, loyalty and compassion this, finally, is the true story of the Minotaur." "...the whole story is beautifully written and conceived." ﻿"...a good, surprising tale... I would recommend this book to readers of the Hunger Games and The Maze Runner." "... the reader is gripped from beginning to end, eager to know more and totally absorbed in fascinating detail and delight. In our modern world, where “Truth often suffers for the sake of entertainment,” this truly entertaining novel might be wisely thought-provoking too. It’s highly recommended."